Happy Saturday! Hope everyone is enjoying their weekend! I apologize for being MIA for a day or two. This week left me completely whipped. My Facebook status on Thursday read, “Thursday just feels like a bad joke this week…” and that was no lie. Just one of those weeks, I guess! What I’m trying to say is leftovers and sleep were a priority and blogging took a back seat…for just a bit 😉 Eight hours of restful sleep, 2 beers, and 9 miles later, I am feeling fully refreshed! Preheat the oven to 350F. Combine the oats, almonds, and flax seeds in a 9″ x 13″ baking pan. Combine the maple syrup, agave nectar, and peanut butter in a small pan over medium heat. Cook, stirring occasionally, until ingredients are well-blended and bubbly. Remove from heat and pour over the oats mixture. Stir well until all the dry ingredients are coated. Bake at 350F for 15 minutes. Add the cherries and coconut. Stir well, then bake for another 15 minutes. Allow to cool. Super easy! The lovely people at 18 Rabbits sent some samples. I am a huge fan of these bars! I’ve seen them in my local Akins and will definitely be purchasing more. The Banana Fosters was delicious, and I’m anxious to try the Cheeky Cherry Chocolate! Yum! Added bonus: nutrition! These bars contain omega-3’s (410 mg) and 6’s (1200 mg), 4 grams of fiber and protein, and loads of vitamins and minerals. They’re also larger than a lot of other bars (Larabars, PureBars, Luna Bars, Cliff Bars), and contain a respectable 210-220 calories a piece. Thumbs up, 18 Rabbits! I’ve tried a lot of Kombucha flavors, but Mystic Mango is BY FAR my favorite! It’s much less bitter than the others and it’s pulpy — mmm mmm! Cinnamon is a lot of things…1) delicious and 2) great for blood sugars. Bonus: it tastes great and made my house smell GLORIOUS this morning. Give it a shot! 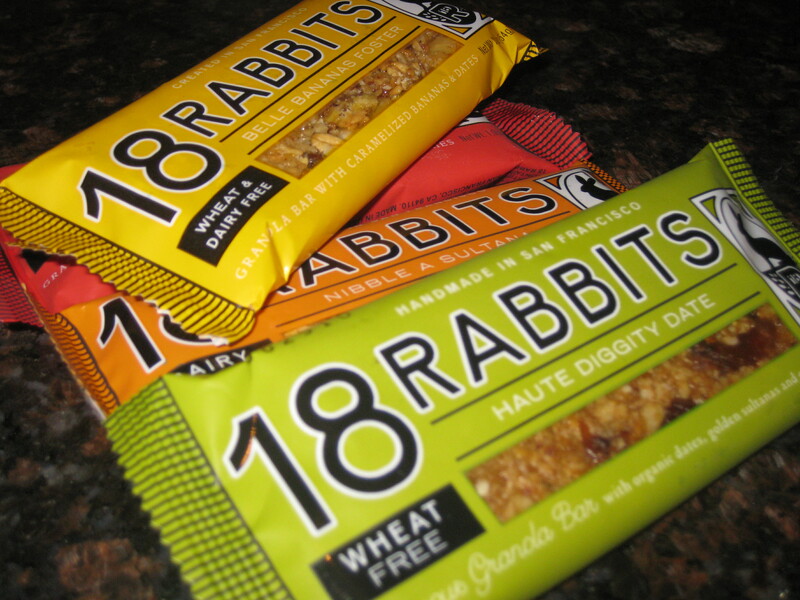 Since these 18 Rabbit bars really are super, I want to share with TWO lucky readers! Leave a separate comment for multiple chances to win! 1. Which flavor do you want to try…Haute Diggity Date or Nibble A Sultana? 2. Follow me on Twitter and leave me a comment letting me know! Open to US residents only — sorry to all the lovelies in Canada and on the other side of the ponds. Winners will be drawn at random Sunday, January 17th at 9pm Central Time and announced Monday morning! P.S. Don’t forget to submit any nutrition-related questions for this week’s Q&A! I’ve already got some great ones! 🙂 Email any Q’s to PreventionRD@gmail.com! You’re right, it is a make it now recipe. Ohhh! Those sound like great bars! I like the name of Nibble A Sultana, so I’ll say that one! I tweeted too! But I’m really new to Twitter so I hope I did it right! I’m glad you’ve gotten caught up on your rest. Blogging is great fun, but it sometimes has to take a backseat to real life…and sleep! Thanks for stopping by. Isn’t it funny how no matter how busy you get, there’s still time to update your facebook status. lol. I’m with you. I would like to try haute diggity dog, but both sound interesting. Never heard if these bars. I know it says US residents only, but I still consider myself a resident and I have a stateside address. Hope you don’t mind my entering. Following you already on twitter. oh that granola bar looks great! Glad to hear you’re enjoying the 18 rabbits bars! I’d like to try Nibble A Sultana. I’ve never even heard of sultanas before! I now follow you on twitter as cygirl88! I’d like to try the Haute Diggity Date. The Bananas Foster also sounds delicious! I LOVE the Banana Foster….So tasty! I would love to try Haute Diggity Date. I love the cherry chunk one. 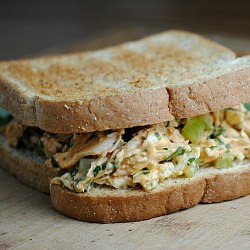 Can’t wait for those great tasting recipes of the food on your menu. fun giveaway! I’ve never heard of these bars before. I haven’t seen them at Whole foods or anywhere else. I’d like to try Haute Diggity Date! 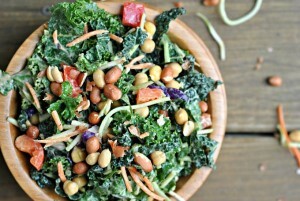 And i hope you answer my nutrition question for this week’s Q&A ! I already have that one answered : ) Have a great weekend, girlie! I love coconut in granola. 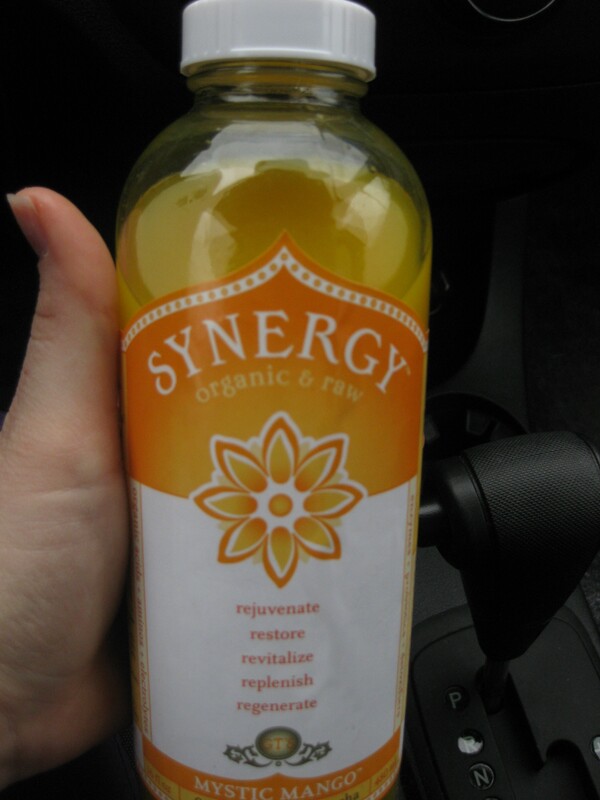 Have you tried the guava Synergy Kombucha? It’s pulpy and sweeter like the mango one. OH and I’m following you on Twitter! I think I’d want to try the banana foster flavor. Sounds like a delicious dessert in a bar. Definitely the haute diggity date! The name is too awesome. Also the mystic mango is the BEST! Plus – I love the name!! Nibble A Sultana sounds yummy! Both sound great, but I’ll go with Nibble A Sultana! Love the idea of putting cinnamon in your coffee grounds!! That’s great. I tweeted about the giveaway 😉 And as far as flavors, I am willing to try any! I’m not picky, I just like to try new products. Thanks for the great opportunity! I’d love to try haute diggity date! How could someone pass up that name? I’ve also been wanting to try kombucha for some time now. I’ll definitely try the mango one first. I’d definitely want to try Nibble A Sultana. The Cheeky Cherry also sounds delicious – i’ll have to see if my co-op carries them. Wow…what nutritional stats on those bars!! I’d LOVE to try the Haute Diggity Date. I recently discovered (only thanks to Larabars) that I LOVE dates. So sweet – I don’t know why I was scared to try them all these years??! Let’s see…what flavor do I want….the Sultana pretty please! Gosh those bars look great. I just saw their awesome website. Of course u are all ready my buddy on Twitter. Love the idea of the cinnamon in your coffee. Cinnamon everything works for me. 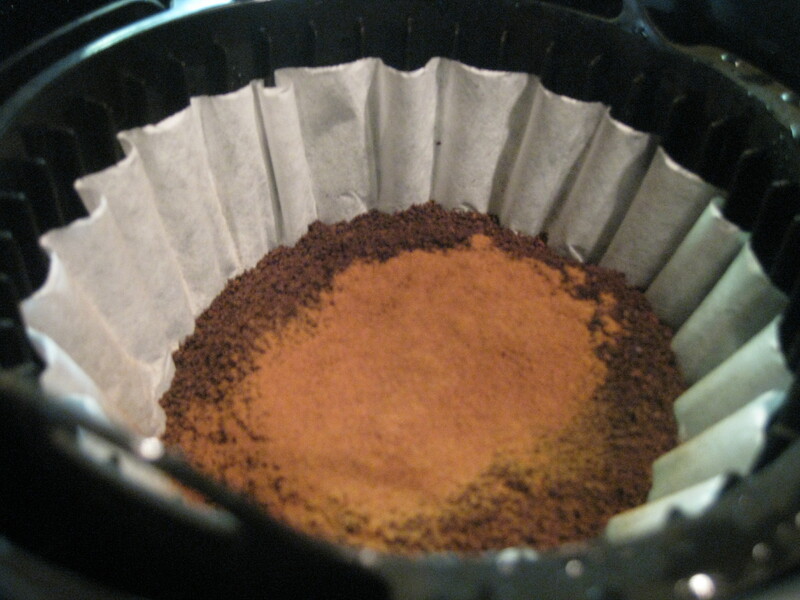 What a great idea, putting cinnamon into your coffee grounds! thanks for the tip! Without having tasted these bars, I like them already because the names are so cute! I would like to try Haute Diggity Date. Really, I would like to try both. oooh! those look tasty, I’d love to try the haute diggity date (such a cool name!) because I’m a date fanatic. That granola looks tasty, I sure enjoy Gina’s granola too 🙂 I will tweet it too! I already follow and I tweeted 🙂 have a nice weekend! Those bars looks delish! I’ve love to try the Nibble A Sultana. Thanks for the fun giveaway! I’d love to try Nibble A Sultana! I would love to try Haute Diggity Date! I always love finding new snacky bars and such–I think I would go for the date one! 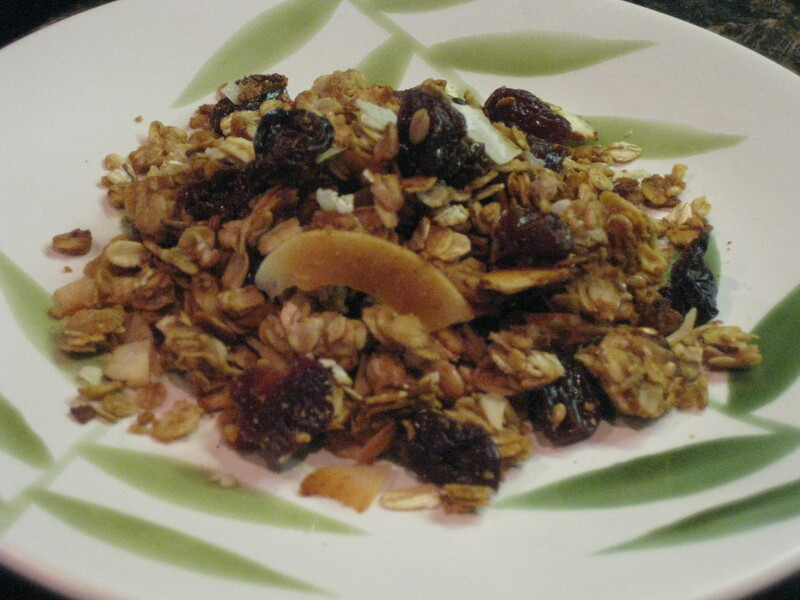 And your homemade granola looks divine! That is still something on my list of things to try making–thanks for the reminder!